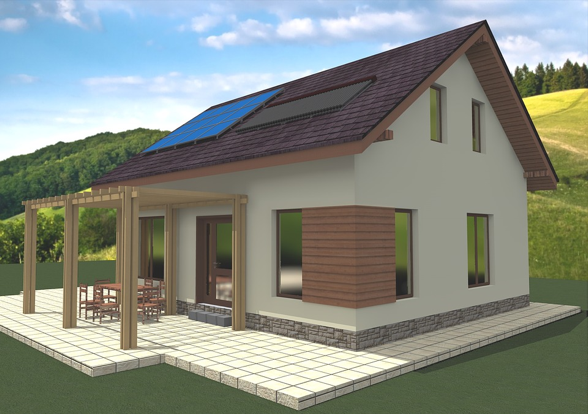 Are you looking to create your own passive house? You’ve likely made yourself aware of the many benefits such as saving one-tenth of your energy bill, or achieving superior comfort and air quality. For those looking to create a truly passive home, there is a bar that has been set. In order to truly feel at peace knowing your home is as efficient as possible, your home must be able to meet the Passive House Standard. The passive house designation is maintained by the International Passive House Association, based in Germany. It is based on a number of criteria set by the association such as construction quality, comfort and energy efficiency. There are a few steps that one must follow to ensure a new home is truly energy efficient, comfortable, affordable and environmentally friendly. The best way to ensure your project has the best chances of meeting the Passive House Standards is to hire passive home consultants from day one. It’s important that the designers you hire are passionate about passive design and don’t just claim it as a “speciality”. By looking at their previous work, and engaging in a discussion about the topic, you should be able to gauge just how invested the design firm or architect is in passive home design. Once your home is near completion y, you will be able to conduct a series of tests to see if a home can pass Passive House Certification. According to the International Passive House Association, the following criteria must be met in order to obtain the necessary requirements. The demand for space heating must not to exceed 15kWh annually or 10W (peak demand) per square metre of usable living space. The demand for Space Cooling roughly matches the heat demand with an additional, climate-dependent allowance for dehumidification. Primary energy demand must not exceed 120kWh annually for all heating, cooling, hot water and domestic electricity applications per square meter of usable living space. There can only be a maximum of 0.6 air changes per hour at 50 Pascals pressure (as verified with an onsite pressure test in both pressurized and unpressurized states). Thermal comfort must be met for all living areas year-round with not more than 10% of the hours in any given year over 25°C*. If you would like your home to have the best chance of receiving the passive home designation, it is highly advised that you begin working with passive home consultants from the start of your project. They will be able to provide the expertise and energy modelling necessary to ensure your home passes the passive home requirements. During the design process, energy use of your home can be modeled to estimate whether or not it will meet passive home certification requirements. A preliminary blower door test will accurately measure the air leakage in your home. These preliminary tests can be performed by anyone. These tests will reveal the source and level of air infiltration in your home. With this information, you will be able to detect any windows, doors, crack, or openings that require further insulation. The next step is to see if your home meets the criteria to become a passive home. Once the shell of your passive home is complete and the home is airtight, you will be able to hire outside specialists to test your home in order to further measure heat loss, air leaks, and energy consumption. These tests must be conducted by passive home consultants who did NOT help you in the design process. They must be independent and impartial. After those tests are complete you will find out if your home is as efficient as possible and if it meets passive home standards. If you are below certification requirements, these consultants will help you identify why and how you can rectify the situation. Once your home is complete, the testing consultants will submit your original designs and as-built drawings, as well as their final test results to the International Passive Home Association for final approval. Once the results have been reviewed, your home will be awarded the passive home designation.